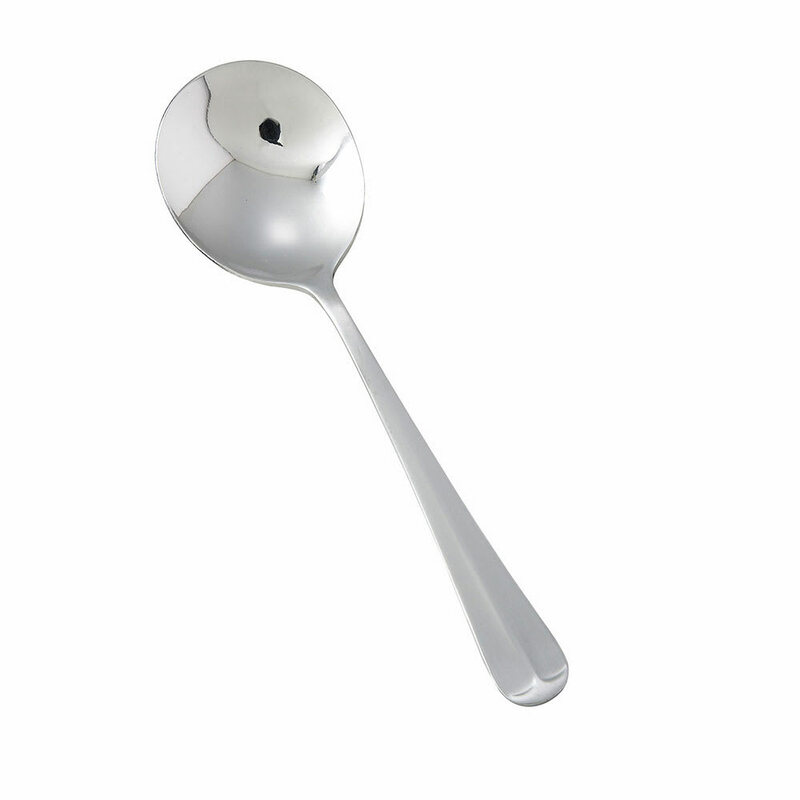 The sleek design of this Winco Bouillon spoon replaces heavy detail with enduring functionality. Satin finish, Lafayette pattern bouillon spoons by Winco have a simplistic beauty that will compliment any cutlery scheme. This Winco Bouillon spoon is medium weight Lafayette pattern bouillon spoon constructed of 18/0 stainless steel for easy cleaning and durability. Dig into pastas, scoop cereals and soups, salads and more with this quality stainless steel bouillon spoon and never worry about costly replacements again. Comparable bouillon spoons snap or lose their shine after frequent use, but you can be assured that Winco backs all their utensils with a guarantee that their Bouillon spoons are built to withstand the test of time. Make this medium weight Lafayette pattern bouillon spoon a part of your flatware line today! Bouillon Spoon, Lafayette, Medium Weight, 18/0 Stainless Steel.